We hope you will join with us on our Easter Water Project. AND you can join us at St. Michael & All Angels for the Water Challenge beginning April 4. Give up drinks other than water for just two weeks and use the money to make sure others can have clean, reliable water. 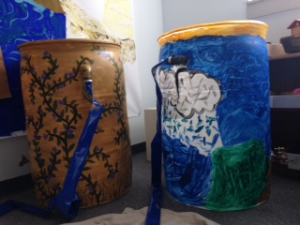 On April 23, join us to paint barrels to collect rainwater in your yard, or buy a painted rain barrel on April 26. Everything you do will help us help build a clean, reliable water source for a village.